At the Sega Fes 2019 in Tokyo this weekend Sega announced the new Sega Genesis Mini. Sega's retro 16-bit era mini console will become available worldwide on 19th September. Different versions will be sold in Asia, Europe and the Americas - in Japan and here in Europe it will be called a 'MegaDrive' - and understandably the games lists vary by region. While the console will be mini sized, controllers (2x supplied) will be the same size as the originals. 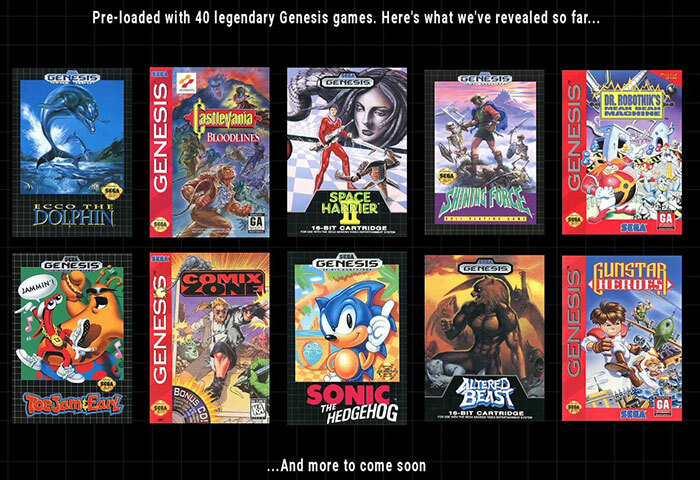 Sega will include "40 legendary games" built-in to the HDMI connected, USB powered mini console. Those with a good memory and/or particular interest in classic consoles might remember that Sega made a similar announcement a year ago. That console was originally being developed by AtGames, which hasn't got the best reputation for emulation quality. 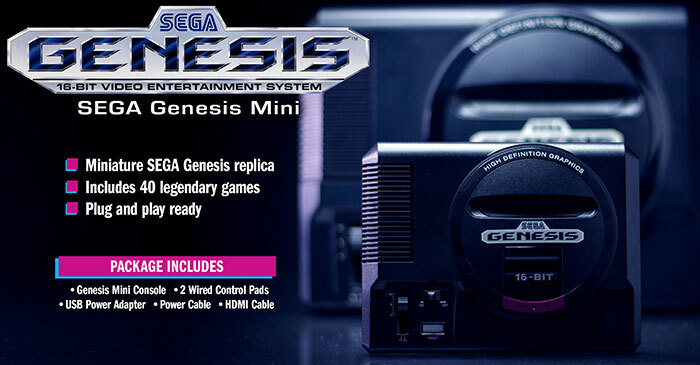 It seems like someone at Sega baulked at this earlier Genesis Mini console's quality as the new version, set to be released this September, is being developed by M2, the developer behind Sega Ages. 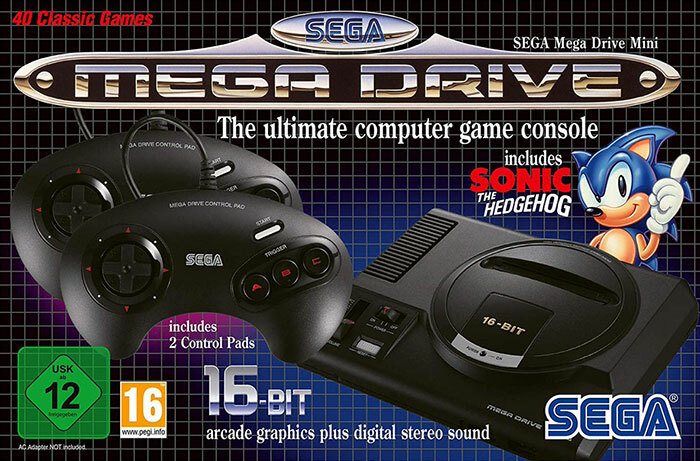 In the new promotional pages it is explained that the new console is "Made by Sega, Genesis Mini delivers quality as only a 1st party product can." 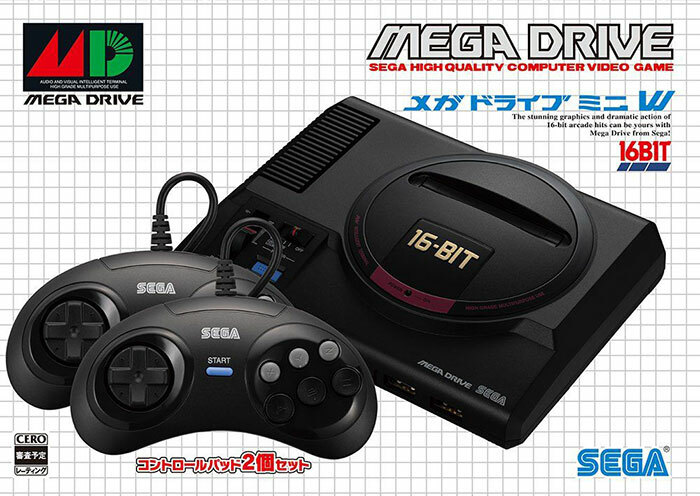 The delay might be good for quality but it means that Sega missed the 16-bit console's 30th anniversary in Japan. We don't know everything about the console hardware and included games as yet. We do know that the boxed US console comes with the following contents; Genesis Mini Console, 2x Wired Control Pads (3-button type), USB Power Adapter, Power Cable, HDMI Cable. In Japan, Kotaku reports that the console will come with six-button controllers (and choice of 1x or 2x controller bundles). You won't simply be able to plug in original controllers as the new ones use USB. The above games are accessed via a custom interface with background music provided by legendary Streets of Rage composer Yuzo Koshiro. It will be interesting to discover the rest of the pre-installed titles (hoping for Micro Machines 2 or newer), and whether there will be any way to add homebrew games and apps to the console.